Have you found that no matter how many times you post on Instagram your follower count just doesn't go up? 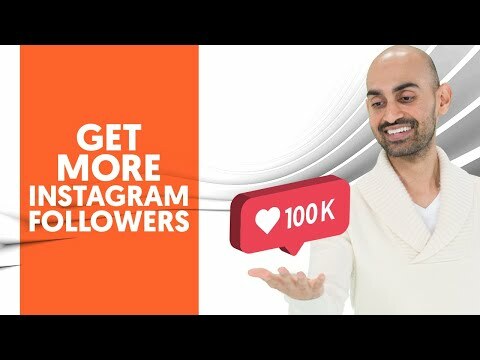 Today I'm going to share with you the best way to get more Instagram followers organically, without using any of these automated tools that can get you into trouble. This is the most important thing. If you can't get this through your head and change your mindset, you're not going to do well. Everyone's like oh my God the lighting has to be perfect, I've gotta have makeup on. Who cares? Just post! What you think will do well may not do well and unless you get that out of your head that everything isn't going to be perfect. The moment you think it all has to be perfect, nothing is going to happen, you're barely going to post. But the moment you're okay with posting whatever, you'll post six, seven, eight different things and you'll find out what's working. Tip #2. Stop posting the stuff that's not working. You're in a rut. in which you keep posting the same type of stuff, it's not getting traction, but yet you keep posting it. If the same stuff isn't working to grow your follower count you shouldn't post it. Tip #3. Start posting videos. We found that whether it's a story or you're just posting on your wall or in your feed, a video always does better than text. It creates way more engagement. Stop posting just text based images. You can still do them every once in a while, but videos are the key both in your stories and in your feed. And what you'll find is the more videos you post, the better off you're going to end up doing. Instagram and Facebook, Facebook which is Instagram's parent company, they're all about videos these days. If you go on any fan page you see someone post a video versus someone posting an image, you'll notice that the video gets way more traction. It's because Facebook prefers videos right now and so does Instagram because they're trying to crush every other video platform out there. For that reason you need to be posting videos. I did an image on my Instagram telling people double tap this if you're going to hit your goals or crush your goals in 2019. Did extremely well. Why did it do so well? It's because I got creative and you can do the same thing. Doing clever things like telling people to double tap if they're going to achieve this or do that or telling people to comment below, that'll boost your engagement and spread your content out so more people start seeing it. Tip #5. Care about your audience. Instagram is a social network. Why aren't you responding to every single comment? That shows you care. Why should someone follow you if you're too lazy to respond to their comments? So care about your audience. If you don't care you shouldn't be on the social web. Tip #6. Post more frequently. When it comes to images or on your main feed, post at least once every three hours. Ideally you shouldn't be posting every hour, every two roughly once every three hours is the right amount. You can even do once every six hours, that's fine but one every three to six hours is a sweet spot. When it comes to stories, you should be pushing out at least nine stories a day. I know that sounds crazy but if you do that you're going to get way more engagement. Tip #7. It's all about the micro content. What I mean by micro content is everyone's trying to like stage their photo shoots, their Instagram videos all this kind of stuff. Just be yourself! Bust out your phone, talk for 20-30 minutes and chop that up into little bite size clips and put that over your Instagram over time. You give a speech at a conference, chop that up and put that on Instagram live or six or seven times. Take the big piece of content that you have, again chop it up and put that all over Instagram. People love micro content and when you're creating it try to be realistic and be more like your real self, not the Instagram or the Photoshop version of yourself. People want to connect with humans, they don't want to connect with other perfect people they can't relate to. 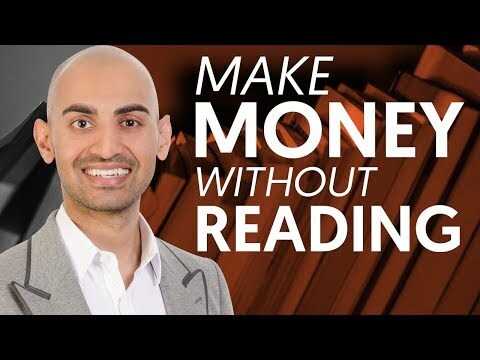 How books can make you more money even if you don't read them. This strategy will help you make more money by leveraging books. You'll learn the process of creating a marketing funnel by giving away a FREE book and providing them value. The first thing you have to do is write a book. If you don't write a book there's no offer for you to give. And that book needs to be related to any product or service that you already sell. If you don't have time to write a book you can always hire a ghostwriter. Or another strategy that you can do that I've seen companies leverage is they'll white label other people's books. In other words, they're buying the rights to it. And they're not buying popular ones you're just taking other people's e-books that aren't as popular and they're buying the rights to it and changing out the name. I myself enjoy writing 'em myself but, if you're a bit lazy and you don't want to do that you can leverage to other strategies. Second thing you needed to do is don't print a book. Printing books are very expensive. You don't want to have all the storage costs and actually have to pay for shipping. Make digital e-books and as well pay someone to read the book or can do it yourself and create an audio version of it. That way people can get the books on tape version of it for free of course. Third I want you to drive people to a landing page that has this free book that's gonna help 'em out in what ever service or product that you have and this book should of course be related to it. For example, I'm a marketer, I help companies get more traffic, so my book could be on cutting-edge techniques that'll teach you how to double your traffic in 60 days. And by giving away that book as well as the audio version for free in that landing page, all they have to do is pay for handling. They'll end up getting that book and when they get that book as well as the audio file they won't have issues because they're not paying for shipping but they're just paying $3 for handling and downloading the files and the server costs which people will have no issues with. And then the next thing you have to do is a pawn. Offer a checkout bump. A checkout bump is a little simple tick box. It's a irresistible offer before the buy button that allows people to spend more money with you. So for example, my ebook was on Crazy Ways To Double Your Search Traffic Within 60 Days or whatever it's called. My checkout bump could be a tool that helps you get the results faster for a one-time fee of $20 or $50. Some people will take you up on the offer, not everyone. Then I want you to offer upsells and downsells. Once people buy and they're already in the flow get 'em to buy more from you. Whether they take the checkout bump or not you can upsell services, other products. By having more upsells and downsells and ideally three, you'll be able to squeeze more revenue out of each and every single visitor. That's how you get it profitable because if you're spending $10, $20 for every single customer you need more offers in your funnel to make it profitable. AD: For additional local emotional intelligence assessment visit blueeq. 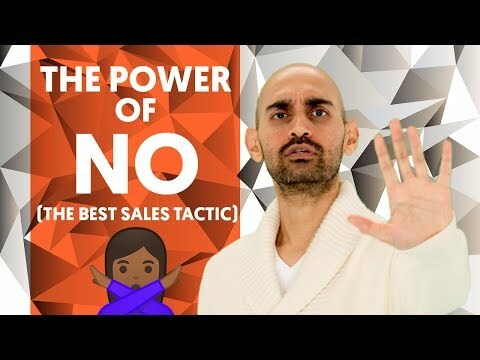 In this video, I’m going to teach you the power of no. When it comes to sales training and sales tactics, people tend to emphasize the importance of yes. But there's one simple word that can generate you more sales. Can you guess what it is? let me first tell you a quick story on why you should be telling people no. In sales, you're going to have so many people being like "Hey Neil, I need a discount" or "Can you also do this?" And you're also going to even have any existing clients like "Oh, you're doing amazing job can I also have this?" "Can you also reduce your price?" "Can you also help with this other thing that you don't provide services for but I expect you to do them for free?" The moment you keep saying yes and yes and yes to people, they realize like "Oh, I can keep asking for the world and you're going to give it!" Your margins are going to go down, you're going to be miserable, the clients are going to get upset with you, because you're not going to be able to produce good results due the fact that you're helping them with stuff that you don't specialize in. But the moment you say you no, they're going to not only respect you but they're going to be paying you more money. So let's get into some tips. 1. When someone asks you for a discount, or ask you to do more than what you're contractually obligated for, say no. If they want something super small and you want to go above and beyond to create amazing customer experience, of course you can say yes, or surprise them. But it should be on your own terms. Clients shouldn't be demanding this from you. It should be up to you, not them. So the moment people ask you for a discount, say no. There's nothing wrong with it. It's like dating. The moment you go after someone and they keep saying yes to everything, you're going to get over them. You're not going to be attracted to them anymore. The moment something plays hard-to-get you're like "Oh my god, I'm in love!" That's how it works in sales. You need to start saying no. Second tip for you, follow up with why. When someone asks you for a discount I'll tell them "No, I can't give you a discount, I wish I would but my margins are razor-thin and if you want a discount I can give you one, but I'm going to have to give you less services which means you're not going to get the results that you're expecting". By explaining why you're telling them no, they're going to be like "Oh, that makes sense Neil. Sounds good to me!" It really is that simple. It's not that complicated. The third tip I have for you is start using no in your workplace. When your boss, your co-workers ask you for something that is unreasonable, like a deadline that you can't meet, start saying no. But don't be mean to your co-workers and mean to your boss. Don't say no because you're lazy. If you can put in a few extra hours of overtime, even if you're not getting paid for it, do it. That's what a team player does. A company takes care of you, you take care of the company by putting them first as well. That could either be cutting down the scope, or you change how you're doing it. You're getting a bit creative, but when you're dealing with co-workers and your boss, it's not just about saying no, it's about giving them a solution. By giving them a solution they're going to respect you, they're going to be like "Oh, awesome! Neil really cares for the business. He's trying to help me out"
And by helping your co-workers out, you're not going to have issues with them. You're going to rise up the ranks and you're going to do better in the corporate world. Seriously, some of my sales guys, they're so good at saying no now that when a client asks some for a discount they'll just say no, and they don't even follow up with the reason. They're just like "No, we're not going to do it. This is what it's going to take to give you the results. If you want something that's less, we're not the right company for you." The moment you put your foot down, that's one people will start respecting you. If you enjoyed this video, make sure you like, comment and subscribe to the channel.